Chan & Naylor bookkeeping specialists will be happy to assist you with all of your bookkeeping needs. We provide high-quality, cloud-based bookkeeping services Australia-wide. You will be able to access your records and reports wherever you may be and at any time that you want. We only use the best and secure bookkeeping software (Xero and MYOB) to help you organise your books. Xero and MYOB allow us to easily integrate into the existing system that you already have in place. 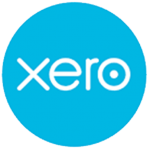 If you don’t have a bookkeeping system in place yet, we will give you access to Xero – a secure online cloud-based system for your books that ensures accessibility of your books anytime and anywhere. Our bookkeeping specialists will manage this for you and even train you and your staff. Let us take care of your books and free you from the hassle of organising all your paperwork. We will keep your books always up to date, accurate, and secure for your peace of mind. Our award-winning bookkeeping specialists and tax accountants will help you to efficiently manage and build your business. Book now with a Chan & Naylor bookkeeping specialist so you can save your valuable time and hard-earned money. Our expert bookkeepers can give you back your time that you need to focus on growing your business, and with our expertise and efficient systems, we’ll make your turnarounds faster while keeping the costs low. We’ve got offices located in North Sydney, South West Sydney, Sydney CBD, Pymble and Parramatta in New South Wales. We also have offices in Melbourne CBD, Moonee Ponds and Hawthorn in Victoria. In Queensland, our offices are located in Brisbane and Capalaba. You can also visit our Chan & Naylor Perth office in Western Australia. Find your preferred office location here and book a meeting with us today. Book a meeting with us today. Chan & Naylor has national offices that can help you with all your bookkeeping needs. We provide high-quality, cloud-based bookkeeping services Australia-wide. From reconciliations and rechecking invoices, and from inventory control to your profit and loss statements, our award-winning bookkeeping specialists and tax accountants will help you to efficiently manage and build your business. Alternatively, you can complete the form below and one of our bookkeeping specialists will get in touch. I cannot find enough words to describe the value that they have provided to us; the excellent service and knowledge… They are really awesome. They have been integral to our wealth building and we recommend their service and Company without a doubt….